It looks as though Sony’s Jumanji remake may be getting its own unique comedic stylings – to rival that of its original juggernaut Robin Williams – courtesy of the duo of Dwayne “The Rock” Johnson (Furious 7) and Kevin Hart (Ride Along). According to Variety, they are in talks to star in the re-imagination of the 1995 family classic based on the 1981 book by Chris Van Allsburg. The two are gearing up to promote Central Intelligence together and have proven to be a great team already after hosting the MTV Movie Awards this past weekend. 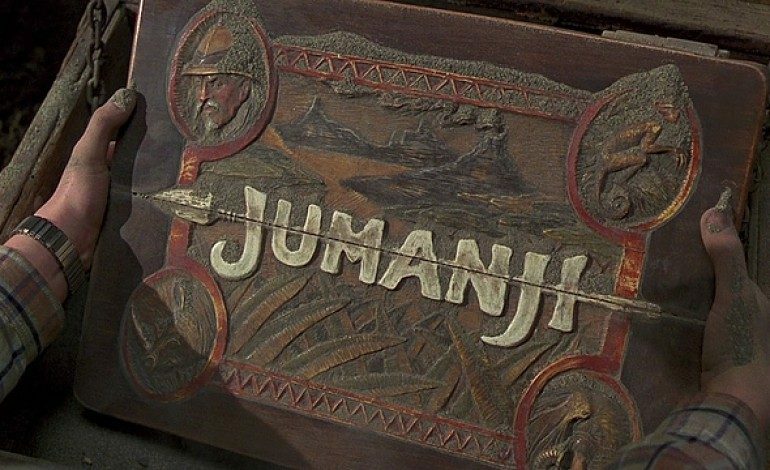 The first Jumanji adaptation starred the late Williams alongside Jonathan Hyde, Kirsten Dunst (Melancholia), Bonnie Hunt (Cheaper By the Dozen), Bebe Neuwirth (How to Lose a Guy in 10 Days), and Bradley Pierce. It followed a 12 year old boy who unlocks a magical board game that releases its wild and dangerous players and settings into the real world. There are no details yet on the plot or how it will differ from its predecessor. What we do know is that comedy director Jake Kasdan (Bad Teacher, TV’s New Girl) will be helming based off a new adaptation by Scott Rosenberg (Kangaroo Jack) and Jeff Pinkner (The 5th Wave). The film is set to debut on July 28, 2017. The only thing getting in the way of this fast approaching release date is locking in these two leads. Both actors have demanding work schedules ahead. Johnson will be filming the third season of his HBO series Ballers, as well as Fast 8 this summer. Hart’s biggest roadblock is The Untouchables remake with Bryan Cranston (Trumbo) currently waiting to lock in a summer shooting schedule. It will be a timing game as the Jumanji reboot must stick to a reliable schedule in order to make its deadline next summer. Whatever the case may be, it would be quite intriguing to see these two take on the film – especially with Johnson being a veteran of adventure films (Journey 2: The Mysterious Island, Race to Witch Mountain) and with Hart being a relative newcomer to the genre, but bringing plenty of strength to the physical and verbal comedy aspects.